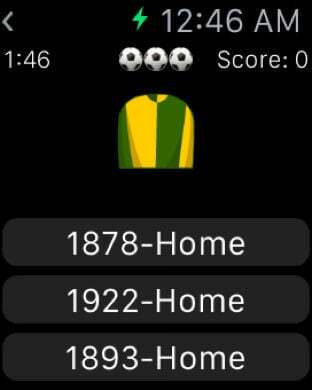 Guess the year is the most exciting and challenging sport themed quiz available on the Apple Watch. This exciting puzzle will have you tearing off your shirt trying to beat your friends score with the worldwide leaderboard! "What year was this shirt worn?" Study the color, make, neck, collar, sleeves, sponsor and markings to work out which year it was worn by your favourite team. 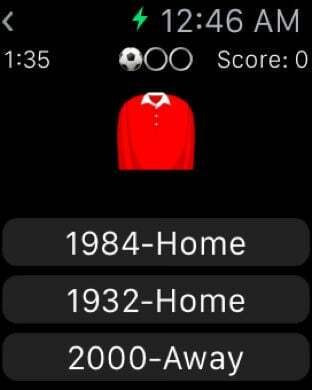 With both home and away shirts to guess, only a true fan will top the leaderboards.